During National Women’s History Month, The Undefeated will recognize two women every Tuesday. This week’s Two for Tuesday features basketball Olympic gold medalist Cheryl Miller and writer and journalist Ida B. Wells. Miller was born and raised in Riverside, California, the third of five children. She and her younger brother, Hall of Famer Reggie Miller, became basketball stars. Now the youngest women’s basketball coach at Cal State Los Angeles, Miller has carved a name for herself in basketball history. During high school, she was celebrated for scoring 3,405 points overall and averaging nearly 37 points per game, and for setting a California high school record with 105 points in one game. A four-time All-American, Miller attended USC, where she led her team to NCAA championships in 1983 and 1984. After graduating, the 6-foot-2 Miller was drafted by several pro leagues, including the United States Basketball League, a men’s league. She was a key component of the 1984 U.S. Olympic women’s basketball team that won a gold medal. She got her first head coaching job in 1993 at her alma mater. She has also been an NBA sideline reporter and was head coach and general manager of the WNBA’s Phoenix Mercury. In 2014, Miller was named the women’s basketball coach at Langston University. She was enshrined in the Naismith Memorial Basketball Hall of Fame in 1995 and in 1999 was inducted into the inaugural class of the Women’s Basketball Hall of Fame. In 2010, Miller was also inducted into the FIBA Hall of Fame for her success in international play. Lynching was at an all-time high in the United States in the 1890s when journalist and activist Ida B. Wells launched an anti-lynching crusade that helped lead to a mass exodus from the South to the Midwest. Living and working in Memphis, Tennessee, as a journalist, Wells’ friend was one of three black men murdered during a lynching in the city in 1892. Wells responded with an editorial in the Free Speech. 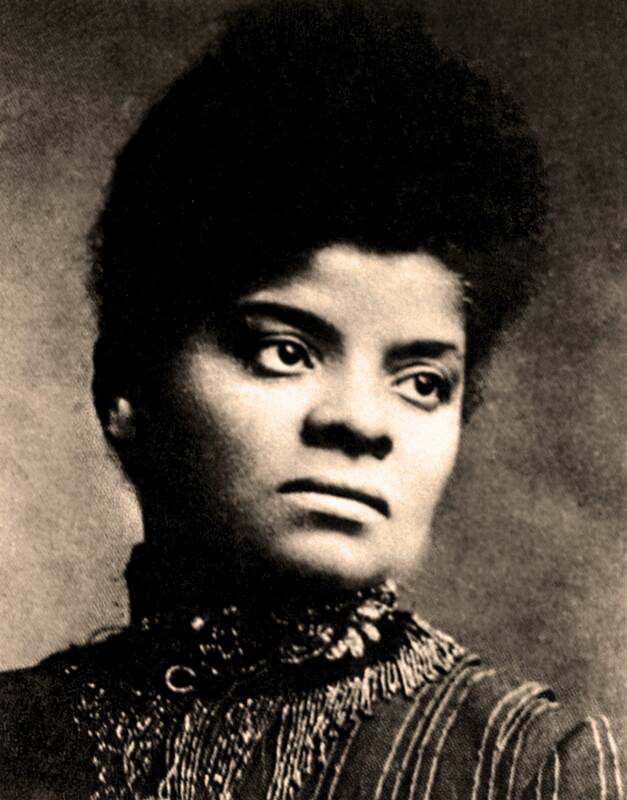 “There is therefore only one thing left that we can do; save our money and leave a town which will neither protect our lives and property, nor give us a fair trial in the courts, but takes us out and murders us in cold blood when accused by white persons,” she wrote. Wells was traveling to New York when the Free Speech’s offices were destroyed. Receiving a message that she would be killed if she returned to Memphis, she remained in New York working as a journalist while bringing light to the evils of lynching and other injustices faced by blacks in the South. Born into slavery in 1862 in Holly Springs, Mississippi, Wells moved to Memphis after her parents died of yellow fever. She later attended Fisk University in Nashville, Tennessee. After facing many of her own experiences with social injustice, she returned to Memphis and started writing about race and politics under the pen name of “Iola.” Wells later published the Memphis Free Speech and Headlight newspapers. She also worked as a schoolteacher in Memphis. She joined forces with poet and author Frances Harper and national civil rights activist Mary Church Terrell to form the National Association of Colored Women in 1896.